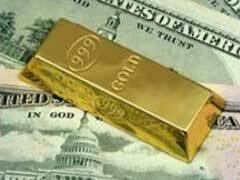 Gold Price Prediction – How To Use It For Investment Purpose? Many investment analysts use various economic indicators for gold price prediction. However, it’s important to realize that no gold price prediction is set in stone and is strictly speculative. Rising historical gold prices have always been a strong indication of economy in distress; many gold investors use their gold investment as a safe haven against inflation. Anyway, how can an average investor predict the price of gold and know when the gold bullion prices are good enough to make an investment decision? Well it certainly helps to know what is going in global economy and keep up with domestic and international economy developments. Rising inflation, lending interest rates, unemployment, falling stock market prices are sure to drive market price of gold. Rising prices on oil commodities are also in direct correlation with soaring gold prices. If you start paying attention to current gold prices, overtime you will build up enough knowledge and understanding of gold price predictions. In the light of US facing severe budget deficit, it’s highly unlikely that gold closing price is going to plummet, on the other hand, it’s prone to continue rising providing big and small time investors with rewarding opportunities. High demand for physical gold in China and India are other indications that gold is not going anywhere and is remaining on the top of most investors’ lists. It’s obvious that professional financial analysts use more profound gold price prediction strategies including gold futures prices, economic factors and many more advanced calculations that might be too confusing for an amateur investor. While it helps to know what factors go into gold price prediction, do not bet more than you can afford to lose into precious metals and diversify to create a strong investment portfolio that can remain solid throughout various economic scenarios.